Rumours are rife that Wong Soon Koh’s faction in SUPP is looking at a number of options in the event the party is deregistered. Is 54-year-Sarawak United Peoples Party (SUPP), which began as a party for working class Chinese here way back in 1959, facing the ROS axe? Bengoh state assemblyman Dr Jerip Susil seems to think the possibility of this happening is “very real”. ‘Indecisive’ SUPP president Peter Chin is not gaining points for further delaying the party’s decision on the status of Wong Soon Koh. It appears that Sarawak Senior Minister Wong Soon Koh will have to wait longer to know his fate in Sarawak United Peoples’ Party (SUPP). In a statement issued today, party secretary-general Sim Kui Hian said that “it was up to the disciplinary committee to investigate” and declined comment further. Sarawak United Peoples’ Party (SUPP) officials who were elected in the controversial party polls last December have been warned against making ‘any’ decision involving the future of the party. The terse warning came from the faction backing former SUPP deputy secretary general Wong Soon Koh (pix). It looks like things have come to a head at the Sarawak United People’s Party or SUPP, and it may soon leave the ruling BN coalition as a power tussle intensifies between embattled Prime Minister Najib Razak and Sarawak Chief Minister Taib Mahmud. If SUPP does withdrawn from the BN, it would be the first component party to do so after Sabah’s SAPP pulled out in 2008. More than that, an SUPP exit would confirm the already very visible cracks in the BN and trigger a much-anticipated dismantling of the 13-member group. The ‘power play’ between Sarawak Chief Minister Taib Mahmud and Prime Minister Najib Tun Razak is drowning Sarawak United Peoples Party (SUPP). Chief Minister Taib Mahmud is making it known that he dislikes Sarawak United Peoples Party (SUPP) new president Peter Chin. He offers a way back to his rival Wong Soon Koh by offering some vacant central working committee slots. Peter Chin Fah Kui, 66, has been announced as the new president of the Sarawak United People’s Party (SUPP) when he won unopposed after his challenger, Wong Soon Koh, boycotted the party election held today. Chin, who is the Energy, Green Technology and Water minister, said he was thankful to the delegates for giving him their trust to continue to lead the second biggest Barisan Nasional (BN) component party in Sarawak. It is imperative the Sarawak United People’s Party (SUPP) re-establish the people’s trust and confidence in the embattled party through strategic changes to face the coming general election, said the prime minister. Najib Razak, who is also BN chairman, said the oldest Sarawak BN component party needed to revamp its party machinery by re-thinking winning strategies and taking a re-look of its current image. “You must realise that if you do not adapt to the wishes of the people, and if you do not change, then you will be changed… in short, change what needs to be changed to make SUPP the choice of the people again,” he said when opening the SUPP’s 22nd triennial delegates conference (TDC) in Kuching today. Currently going through what many of its own members say is a sham party election this weekend, the Sarawak United People’s Party or Supp is the one in real “hot soup” for a change. Factions including those aligned to presidential aspirant Wong Soon Koh, who pulled out a day ago in protest, say the least the Registrar of Societies could do is to order the party to halt its triennial general meeting (TGM) scheduled for Dec 10-11 until the alleged irregularities are rectified. Amidst charges and counter-charges of massive fraud and irregularities in the party set-up, the various factions have been making daily visits to the RoS in Kuching. The result is the foregone conclusion that Supp would have to show cause why it should not be deregistered. Will SUPP recover in time? The weekend delegates conference will decide whether the state’s oldest political party will stay afloat or sink. The Sarawak United People’s Party (SUPP) triennial delegates conference (TDC) this weekend will be watched keenly as it represents what observers believe the last chance for the party “to correct things” or continue to face a downfall in the next general election. Going by the record in the last two state elections, the party appears to be getting weaker due to, what many believe, the problem of perceptions – that it has failed to represent the people’s voices – and because of the internal conflicts it has been facing since 2004. SUPP, the oldest political party, is still riven with regionalism and factionalism politics. As the branch elections for the Sarawak United People’s Party (SUPP), the oldest political party and a major component of the state Barisan Nasional, kick off this Sunday, there is talk that it might be influenced by clannish and regionalism tendencies. 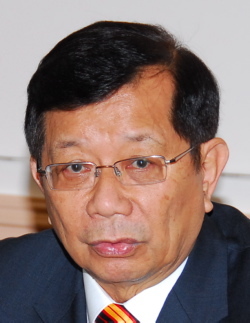 Political analyst James Chin of Monash Sunway University, who has written extensively on the SUPP, explained that for the first decade after its formation in 1959, the party was dominated by leaders from the Kuching region, and power was concentrated in a small group of the Hakka, Chao-ann and Hokkien dialect groups. Sibu warlord Wong Soon Koh to fence with Miri veteran Peter Chin in SUPP’s presidential race. A ‘surprised’ Sarawak United Peoples’ Party (SUPP) deputy-secretary general Wong Soon Koh (photo) is prepared wrestle it out with colleague Peter Chin for the party’s top job. Wong said he never expected Chin to join the fray because he had ‘never’ indicated an interest. “It’s a big surprise when I heard about it…Chin never indicated his intentions. “There were many occasions when he whispered to me that he would not contest,” said Wong. Sarawak United People’s Party (SUPP) which suffered an embarrassing whitewash in the April state election is gearing up towards its Triennial Delegates’ Conference (TDC) scheduled for December this year. Being a major component in the Barisan Nasional, and the only BN party representing the Chinese in Sarawak, SUPP is seen by many observers as a ‘has-been party’; with many incumbent heavyweights as well as hand-picked favourites felled by newbies from arch rival DAP in the 10th state polls. 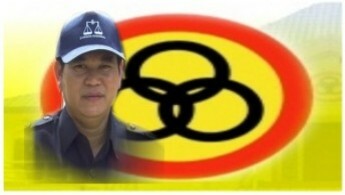 Angry uprising in Engkilili SUPP over Rayong? Almost all the members of the Engkilili branch of Sarawak United People’s Party (SUPP) are against the state assemblyman for Engkilili Johnichal Rayong joining the party and thereby becoming the SUPP-BN candidate in the coming election. “Now that Rayong is officially joining SUPP, the Engkilili branch committee members will have a meeting very soon to discuss the issue. 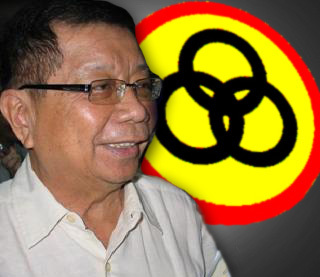 Rebellion is brewing in the Engkilili branch of the Sarawak United People’s Party (SUPP). Its chairman, Toh Heng San, has warned of “severe consequences” if the party nominates maverick Johnichal Rayong to contest the Engkilili seat in the coming state election. He said the consequences would include his resignation from the party. He was responding to an announcement by SUPP president George Chan that the party’s central working committee (CWC) had accepted Rayong and would nominate him for Engkilili. Chan’s statement, reported today in a local daily, confirmed speculation that had been circulating for two years and causing unease among branch members. Can SUPP’s George Chan save a ‘sinking ship’? Dr George Chan is known among his close associates as a flamboyant man. In private, he likes to bring friends to his posh residence at Petra Jaya for a few rounds of wine. The Deputy Chief Minister of Sarawak has a good selection as any close friend can testify. But alas, he is not that lucky when it comes to politics. Many agree that he’s left with little choice now. As a matter of fact, most would say that he’s in a Catch-22 situation. Undeniably, there is a faction within SUPP who see quitting BN as the only solution to regain their support in the Chinese constituencies. However that idea was brushed aside by the top leaders, including Dr Chan himself. The Sarawak United People’s Party (SUPP), in trouble with Chinese voters in particular since 2006, is being told that the ruling Barisan Nasional (BN) will be able to form the next state government even without a single seat contribution from it. This is the message going out to the party from Sarawak Chief Minister Taib Mahmud who has to call state polls by the middle of next year. SUPP visits Putrajaya – history repeating itself? It really comes as no surprise that the Sarawak United People’s Party (SUPP) leaders held an emergency meeting yesterday with Prime Minister Najib Abdul Razak in Putrajaya. It is not known how long the meeting with Najib lasted and whether it went as planned. A shroud of secrecy surrounds the impromptu meeting. The party has walked down this path before with former prime minister Hussein Onn. In 1980/81, SUPP secretary-general Stephen Yong led a similar delegation of party leaders to meet Hussein (right) regarding the growing political instability in Sarawak. That meeting contrasts with SUPP’s current moves to put Putrajaya in the picture on the current political situation in Sarawak. here’s increasing suspicion in Pesaka Bumiputera Bersatu (PBB) circles that Sarawak United People’s Party (SUPP) leaders and activists may have started keeping some distance of late from beleaguered Chief Minister Abdul Taib Mahmud. This follows the failure of SUPP ministers to turn up at two major public functions with the same theme, ‘SeNada SeJiwa – One Beat, One Spirit’ that Taib hosted in Bintulu, and earlier in Sibu, recently. It is not known what was Taib’s response to what could be construed as a deliberate snub by a party which has not hesitated to walk his path 30 years earlier. As SUPP gears up to defend its stronghold of Sibu in the parliamentary by-election on May 16, discontent in its Bidayuh-dominated state wards near Kuching threatens to veer out of control. The state seats of Bengoh and Opar, located near Kuching, are held by members from SUPP’s Bidayuh faction, Dr Jerip Susel(right) and Ranun Mina respectively. I am a member of the human race! One of the most virulent toxins in Malaysian politics is racial and ethnic politics. Politicians and activists of various ethnic origins still dream about the unity of their race. I can understand their aspiration for unity, though I disagree with them. They think that once their race is united, they will have greater political representation, and their race will enjoy greater socio-economic benefits.